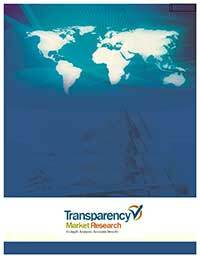 This comprehensive report by Transparency Market Research analyzes and forecasts the ultrasonic air in line sensor market at the global and regional level. The report provides analysis over the period 2016–2026, wherein 2018 to 2026 is the forecast period and the base year is 2017. An in-depth and unbiased market assessment has been made to offer readers in-depth and accurate analysis. The report emphasizes on all the major drivers and trends playing a key role in the growth of the ultrasonic air in line sensor market during 2018 - 2026. It also focuses on restraining factors and future opportunities in the ultrasonic air in line sensor market during the said period. The study provides a complete perspective about the ultrasonic air in line sensor market’s growth throughout the research study in terms of value (in US$ Mn) and volume (in Thousand Units) across various geographies, including Asia Pacific, South America, North America, Middle East & Africa (MEA), and Europe. The report includes a detailed value chain analysis, which is focused on providing an extensive view of the global ultrasonic air in line sensor market. Porter’s Five Forces analysis is also provided to understand the competitive scenario in the global ultrasonic air in line sensor market. The study incorporates market attractiveness analysis, wherein the market segments for type, material, and end-userare benchmarked based on their market size, growth rate, and attractiveness in terms of opportunity. In order to give a complete analysis of the overall competitive scenario in the ultrasonic air in line sensor market, every geographic region mentioned in the report is provided with attractiveness analysis. The market overview chapter in the ultrasonic air in line sensor market report explains the market trends and dynamics that include the market drivers, restraining factors, and opportunities for the current and future ultrasonic air in line sensor market. A market outlook analysis has also been provided globally in the report. Additionally, the report provides analysis of different business strategies being adopted by market leaders of the ultrasonic air in line sensor market. The study provides a decisive view on the globalultrasonic air in line sensor market, by segmenting the market on the basis of type into prototype configuration and standalone chip level integration. By application, the market has been classified intodialysis & transfusions, heart-lung machines, blood separators, pumps for medical technology, and diagnostic systems & other devices.By end-user, the market has been classified into hospitals and home care settings, and academic & research institutes. The report provides a detailed breakdown of the ultrasonic air in line sensor market region-wise and categorizes it at various levels, thus providing valuable insights at micro and macro levels. The report further highlights the competitive scenario within the ultrasonic air in line sensor market, thus positioning all the major players according to key recent developments and their geographic presence. The insights for the ultrasonic air in line sensor market are the result of our extensive primary interviews, secondary research, and in-house expert panel reviews. These market estimates have been analyzed by considering the impact of different economic, political, social, legal, and technological factors. On the basis of country, the North America market is bifurcated into Canada, the U.S., and Rest of North America. Furthermore, the Europe market is analyzed across the U.K., France, Germany, and Rest of Europe. The APAC ultrasonic air in line sensor marketis also segmented at country level which includes China, Japan, India, and Rest of Asia Pacific. Middle East & Africa region covers the GCC, South Africa and Rest of Middle East & Africa. Similarly, South America region includes Brazil and Rest of South America. The report provides insights related to type, application, and end-users for all geographies mentioned above. Primary research involves telephonic interviews, e-mail interactions, and face-to-face interviews for detailed & unbiased reviews on the ultrasonic air in line sensor market, across geographies. Primary interviews are usually conducted on an ongoing basis with industry expertsand participants in order to get latest market insights tovalidate the existing data and analysis. Primary interviews offerinformation on important factors such as current market trends, market size, competitive landscape,growth trends, etc. These factors help to validate and strengthen secondary research findings. Moreover, the data collected and analyzed from secondary and primary research, is again discussed and examined by our expert panel. The research study includes profiles of leading companies operating in the global ultrasonic air in linesensor market. Market players have been profiled in terms of attributes such as company overview, financial overview, SWOT analysis, business strategies, and recent developments. Key players in theultrasonic air in line sensor market are Biosonix Ltd, Sensaras LLC, TE Connectivity Ltd, SONOTEC Ultraschallsensorik Halle GmbH, Siansonic Technology Co., Ltd., ClearLine MD, Piezo Technologies, Moog, Inc., Introtek International, L.P., CeramTec GmbH, and Strain Measurement Devices, Inc.